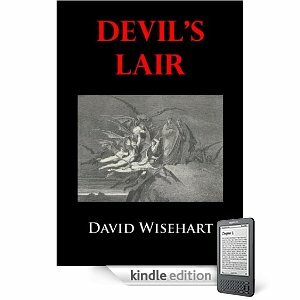 My author friend, David Wisehart, who runs the blog, Kindle Author, has started sponsorships for his blog. I am happy to say that I'm his first sponsor. For my sponsorship, I am featuring The Crystal Facade. There are two excerpts from the book as well to give you a sneak peak at the story. Two dads, five siblings, and goggles! 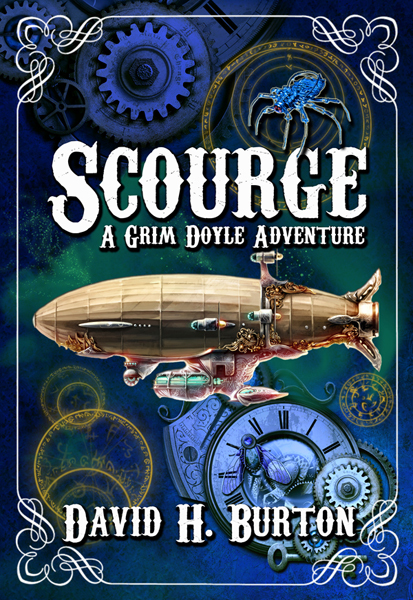 Grim Doyle has always known his life was not exactly "normal", and things get even more curious when he discovers a set of stones that sweep him and his family to the fantasy, steampunk world of Verne - a place they had escaped from years ago. Now that they've returned, Grim and his siblings hide from the evil Lord Victor and his minions. And while learning about Jinns, Mystics, and the power of absinth they try to discover who is trying to kill them with the deadly Scourge. David's website is http://davidhburton.com. Good luck David! I'm very excited because shoppers are definitely opening their wallets at the craft show this weekend. It is has been a wonderfully vibrant show with many other excellent crafters offering their wares. Have sold over 100 light boxes in 2 days. Thank you! Today is the last day so I'm hoping to sell out. I hope everyone has gotten their shopping season off to a great start! Happy Shopping and remember to support your local craft person! Off to Craft Shows this Weekend! I won't be online all weekend. See you next week! Thanksgiving is a day to spend with family and to give thanks for all that we have. I am thankful that everyone in my family are well including all my brothers and their families. My daughter is happily married this past October and my son Josh and his wife Julie are doing well in MN. My husband and my Mom have been awesome taking care of me while I recover from a back injury. This year my mother is taking care of the food. That's awesome! I won't have to spend hours in the kitchen cooking. All I need to do is sit down and eat. That's something I definitely can do. I sincerely hope that everyone has a wonderful day. I know I will. 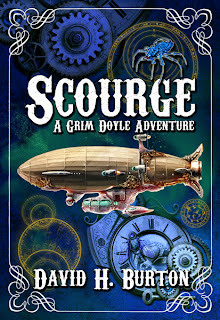 "Debra L. Martin and David W. Small’s science fiction/adventure novel has a lot going for it: believable lead characters, a classic coming-of-age narrative, and an interesting mixture of both high-tech science fiction and fantasy elements. The incorporation of Arthurian lore and Stonehenge mythology was a pleasant plot twist..."
The Quest for Nobility takes the classic coming-of-age narrative and brings it a new spark with engaging, empathetic characters and the spark of both science fiction and fantasy elements. Most of my generation are debating the quiddity of Quidditch this month, as our childhood slowly comes to a close with the release of the first part of the seventh installment of that oh-so-obsession-worthy Harry Potter series. It’s the beginning of the end of the end, I guess. Martin and Small do create a world of dukes, duchies, and plenty of rival factions (there’s all sorts of fratricide going on). And the fragmented Kingdom of Otharia even has a particularly unpleasant fellow named Nils, who works as resident assassin for a Baron determined to destroy the family of a liberal-thinking Duke. Not to mention a young heir in exile who happens to be a telepath. I mean, I imagine that’s exactly what Frank Herbert had as a summary for his first draft. Political conspiracies, social metaphors, and–as the Bene Gesserit would say–wheels within wheels of plot complications were at the very heart of Dune. The story of Darius, Dyla, and Eclasius is readable, enjoyable, with more than a few laugh-out-loud moments. None of that comes from back-room scheming: all of it has to due with the excellent characterization of the three young heroes, our own extraterrestrial Golden Trio. The Quest for Nobility is strongest in the scenes between the three friends and traveling companions. And because I’ve always believed that the characters are the most important driving force in a story, as I reader I could overlook a missed “Your Grace” just for the pure pleasure of experiencing Eclasius’s embarrassment when his telepathic friend Darius reads some inappropriate thoughts about Dyla in his baby-blue eyes. When dealing with the interpersonal dynamics and relationships of the three teenage protagonists, Martin and Small are peerless. This is where Potter mania comes in. A young man on an epic quest has been the staple of good storytelling since the beginning of human history..."
Dragons, zombies and panzers, oh my! Add in Stukas, goblins, ogres, m’unicorn war steeds and elemental monsters and you get an idea of what you’re up against. 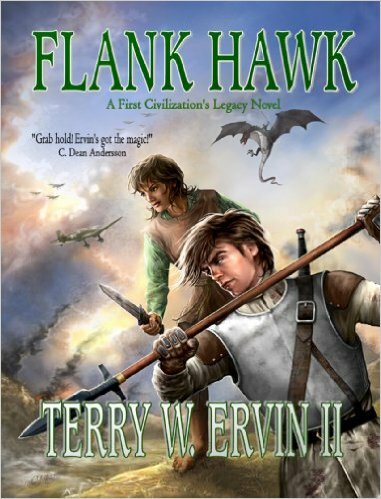 Flank Hawk is a smorgasbord of fantasy and modern technology and it all works. The imagination this author possesses is astounding. Mr. Ervin seamlessly blends all the elements into a book that you’ll find hard to stop reading once you start. The story follows Krish, a wide-eyed farm boy who goes off to war against the Necromancer King. Through a series of battles, he finds himself paired with Road Toad, a disgraced dragon rider turned mercenary. It is during one of the vicious and devastating battles that Krish earns his mercenary name of Flank Hawk. Road Toad takes Flank Hawk under his wing and teaches the young boy some of the finer points of being a mercenary and some much needed sword-fighting skills. While on a scouting mission with Prince Reveron of Keesee, Road Toad and a small contingent of elite soldiers, their position is betrayed and events are set into motion that will start Flank Hawk on an impossible quest. He must find the fabled Colonel of the West and barter the royal family’s Blood-Sword for a way to stop the evil Necromancer King’s advance across the kingdom. This is where the book becomes even more exciting. There is barely a chapter that goes by before something new and unexpected is thrown into the plot. My favorite character was the Crusader Paul Jedidiah Roos from the Reunited Kingdom who Flank Hawk meets on his quest. All in all there are a number of wonderful characters in this book and I commend the author on such a well-written book. I highly recommend this book for all those readers who love fantasy and science fiction. I received a review copy of the book from the author in exchange for a fair and honest review. Panel Discussion - How do you work through writer's block? Just seeing the words writer’s block gives me a touch of anxiety because I am at that stage right now! I was about mid-way through writing my latest novel when an idea started germinating for my next book. I was so excited at the time that I could hardly wait to get started writing it. The plot was taking shape in my mind and I could not help but talk about it to anyone that would listen. I knew, however, that my current novel deserved all my attention in order to finish on time for the deadline that I had set up for myself. This I managed to accomplish almost to schedule (about a month or two behind-but not too far off!) and was pleased to have it released this month. Now I can get going on my exciting storyline for the new book! Unfortunately, I just do not know where to start! Every time I think of it I slightly panic. How am I dealing with it? I am trying not to dwell on it or over think it. I know that if I keep the necessary tools handy (to me this means a notepad and pencil by my bed and my laptop easily accessible) then it will come to me. I sometimes wake up with whole scenes and sentences ready to scribble down and then other times while in the shower more ideas have popped into my head. So I tell myself, do not panic, keep busy, and it will be okay! For me, writer's block occurs most often when what I've written isn't quite right, and my mind (muse?) doesn't want to go any further on it until I've fixed what's wrong. What I usually do is back up a scene or two and ask myself, "Is this the place?" When I get the urge to write again, I create a new scene from that point which goes in a different direction. That almost always gets the creative juices flowing again, and I end up with a better story. Every now and then, I'll wake up in the morning with a clear idea of what needs to happen in the story to get myself out of the corner. My remedy for writers’ block is a trip to Starbucks. There is nothing that cannot be cured by a grande, nonfat, no water chai latte or a seasonal specialty drink. I bring my legal pad (yes, I am a dinosaur who writes everything in longhand first) and plenty of pens, plop myself down and watch. Inevitably, there will be a person walking by who reminds me of something or a snippet of overheard conversation that starts the creative process flowing again. author of "A Whisper to a Scream"
I rarely suffer from what is known as "Writer's Block", but it does sometimes creep up on me when I least expect it. Normally, I write about things I love to talk or write about and that makes writing easy. On the other hand, I am sometimes at a loss when staring at a blank screen. I tend to suffer from the illness whenever I need to do something. Need is the key word. If it is something I need to write versus something I want to write, then the words come hard to the paper (or screen). For example, when I need to write a blog or a letter to a anyone that has nothing to do with my WIPs, I find myself at a loss for what to write and how to write it. I often catch myself editing and re-writing letters and short blogs more than a full-length novel. Whenever the symptoms of 'block' first show up, I try getting away from the keyboard altogether. Going outside to pet the cats or playing with the dog. Sometimes I may have a household chore to do that I've been putting off. This sort of activity serves two purposes. If I keep the idea or subject matter in my head while I am involved in different activities, I usually come up with something to write when I do get back to the keyboard and I get some cleaning done. I also think of some of my best ideas when I'm driving here and there or right after I go to bed and before I fall asleep. It is always a good idea to have that paper and pen on the nightstand to write these ideas down or else they will be lost by morning. Another good place I have found for thinking is in the shower. I know that sounds like an old cliche, but it is true for me. Unfortunately, I haven't found any suitable waterproof pens and paper to leave in the shower. The paper gets all soggy and stops up the drain and the ink dyes my toes blue. Sometimes I think writer's block is more like writer's malaise. There are a number of ways to get past the block, but first I have to get myself out of that place of self-doubt. When I wrote my first book, Ariana's Pride, I was having such a good time that I couldn't get the words down fast enough. There was no block at all. It took me six months from first draft to final draft. Then I started on Catherine and the Captain and, following the success of Ariana's Pride, I put too much pressure on myself to finish. There were a lot of starts and stops, mostly due to lack of confidence. Finally, I realized that I had to set a time aside every night to just sit down and write for two or three hours. After that, things went very smoothly. I didn't allow myself any time for uncertainty. I started on my third historical not long after publishing C&C. It was going fine until I realized I had no idea where the story was going and neither did my characters. It's not so bad if I don't know what I'm doing, but when my characters let me down, I'm in trouble. The solution this time was to set it aside and let it simmer while I wrote some shorter fiction. I wrote and published two novelettes in four months. Now I'm working on a novella, and when I have a problem, I go back and read the beginning of the scene. That gets me back into the flow. Now that I'm in the final stretch, it's time to reach for the discipline again. Whenever I think of anything I might possibly want to write, I write it down. Even really vague ideas. I have notes that just include a song a like and the words "teen romance like that but with a monster." That way, whenever I finish up one project, I have notes to remind of what I wanted to work on next. I build up the notes over time, usually while I'm working on other things, so by the time I get to them, it's a full outline. Then it's just a matter of forcing myself to stay in front of the computer long enough to write the book without letting the internet carry me away. I don't have writer's block so much as "writer's procrastination" and writer's "my character is backed into an impossible situation and I can't get him out without death." These two problems are at opposite ends of the spectrum. For "Writer's Character in Trouble" a nice long drive, hike or more commonly, a bout in the garden pulling weeds is the only way to go. It doesn't always solve the problem, however. Sometimes the only way to fix the plot is a re-write (don't go to the cliff edge without a parachute!) But gardening, cooking or a break-away of some sort often helps clear my mind. Sometimes the kernel of an idea grows in place of that weed I pulled. In the case of writer's procrastination, well, the solution is usually to turn off my internet. Yes, the blasted internet is the bane of my writing. It's much more fun to lollygag on the internet than to focus on edits, writing, plots and corrections. In my worst moments, my house gets cleaned top to bottom as I avoid a dreaded round of edits or yet *another* read through! I'm a "re-writer" more than a writer. This means I go through my manuscripts over a hundred times and every once in a while, I'd rather clean the kitchen than get down and dirty streamlining sentences or repainting a scene that somehow turned mauve when I meant it to be a gentle pink sunset. I think the worst thing a writer can do is worry about “writer’s block.” I don’t believe it even exists. Writing is like any other sort of activity. Sometimes you just need a break from it, and writer’s block is your brain’s way of telling you to go do something else. In truth, if we don’t do things other than writing, eventually we run out of things to write about. So I’ll go play a video game or go to the movies or visit with friends. I’ll goof around on Facebook or read a book or watch TV. I’ll just put whatever it was I was working on away and go let my brain refresh. I don’t worry if I don’t write for a week or even a month. Eventually the right moment will come and I’ll go back to my project. The more you worry about getting through writer’s block, the worst it can become because you start fixating on it. Like there must be something wrong because you can’t write at the drop of a hat. But nothing’s wrong. Your brain just wants to do something else. So go do something else and come back later. ...Opal is unable to run from his past... and Cameo must make a choice that will cost her the last shred of humanity she has left. Book Two in the Cameo series. Robert J. Duperre: The writing style is brisk and fast-paced. This is an excellent novel, one that deserves to be read. It’s meaningful and has something important and revealing to say. Dawn McCullough-White is a fresh face in literature, one that I hope succeeds. Dawn McCullough-White writes mainly dark fantasy and horror. Her novels tend to favor the use of anti-authority anti-heroes as the main characters, most commonly with a strong, female protagonist. Congratulations L.C. You will be hearing from Rob shortly on how to claim your prize. Thanks to everyone who entered the contest. Look for some more great book giveaways in December. Coming up is books by Victorine Lieske, Dawn McCullough-White and Amanda Hocking. I purchased this book on Amazon for my Kindle. The Devil’s Lair is am ambitious book that does not disappoint. It is loosely based on Dante’s Inferno and has a cast of fantastic characters full of flaws and redeeming qualities alike. The cast includes William, the holy friar, Gionvanni, the poet, Nadja, an epileptic girl and Marco, a Knight Templar who has lost his memory. Nadja is their guide and she lets her falling down “dreams” show them the way. Each character adds to the missing piece of the puzzle and the pilgrims venture on. Their quest is to save the world from pestilence that is slowly killing everyone. To succeed, they must find the Holy Grail and take it from the Devil. Along the way they each must face their own demons and that’s where the author’s brilliance shines. Mr. Wisehart clearly is a master of languages, English, Latin, and Greek. I found some of the words he used challenging, but it didn’t take away from the enjoyment of the story. I would caution readers to have a dictionary handy though. I couldn’t put the book down especially when the pilgrims started their descent through the layers of Hell. The author allows you feel their fear and trepidation the further into Hell they go. Each level of Hell is full of vivid characters and incredible descriptions. All in all this is a fantastic book and I commend Mr. Wisehart on such an incredible novel. Highly Recommended. 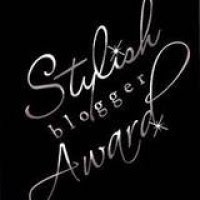 A group of author friends are hosting a new contest and I'm happy to help spread the word. The contest runs until November 30. 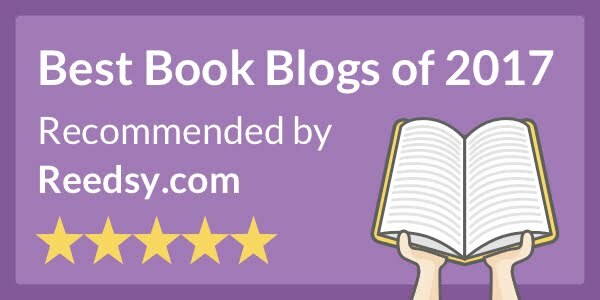 What is The Great Indie Book Contest? It started with David McAfee, an author of horror novels, deciding he wanted to reward readers who buy indie books. He called a few author friends -- Daniel Arenson, Mike Crane, David Dalglish, and John Fitch V -- to help him with a contest. Together, they would choose a lucky winner from people who buy indie books... and give him or her a Kindle3 + $50 Amazon.com gift card. 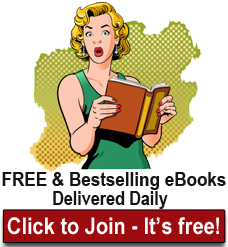 To enter the contest, simply buy an indie book or ebook. For every book you buy, you'll gain one entry. The more books you buy, the higher your chances to win. Welcome Simon! The floor is yours. All roads lead to Rome. It’s a shame the same can’t be said of publication. Still, there are a number of routes open to writers, even if they will often feel like dead ends. The world of licensed fiction is one avenue I’ve explored fairly comprehensively and I’ve yet to determine whether it’s an actual cul-de-sac. As a route to publication it certainly works – I have books published, some even with my name on – but it can be a bumpy road and the real question you have to ask yourself is, does it get me to where I want to be? Before that, you might want to ask, how do I get on board the bus? The truth is, I don’t know. To be honest, I kind of fell on board. Although for a fall, it involved a lot of hard work. In 1993, I think it was, Virgin Publishing acquired the license to produce two ranges of Doctor Who books – the New Adventures, stories continuing on from where the TV series had left off (featuring the Seventh Doctor, as played on the screen by Sylvester McCoy); and the Missing Adventures, stories that slotted into gaps in the series continuity, featuring any of the previous Doctors. Having grown up with the Third and Fourth Doctors (Jon Pertwee and Tom Baker), it was the latter range that most interested me. And to my delight I learned that Virgin were operating an open submissions policy, inviting budding authors to send in proposals (15K words plus a full synopsis) for novels. Naturally enough, I went to work. I couldn’t tell you how many submissions I sent their way. Lots, let’s call it. Including, in 1994, one entitled Emotional Chemistry, a sweeping epic of time travel and Russian literature – which I only mention because it will feature later in this tale. A great many “No, thank you”s and “This is great, but”s later, I was no further forward and then Virgin lost their license, the rights returning to BBC Worldwide. End of the road, right? Well, not quite, because the BBC decided to produce their own twin ranges of books along much the same lines – the Eighth Doctor (Paul McGann from the TV Movie) Adventures and the Past Doctor Adventures. The door was open once again and I got busy once more, sending in submissions. The beauty of having been a Doctor Who fan since childhood meant I had no shortage of ideas to craft into novel proposals, and as a writer, born and bred, no shortage of stories I wanted to tell. Most sci-fi stories will prove readily adaptable to something like Doctor Who. My first break came when then-editor, Steve Cole, who had been impressed with some of my submissions, offered me a short-story slot in an anthology they were putting together. Not long after that, his successor, Justin Richards, phoned to have a talk about how much he liked a little idea of mine called Drift – a snowy New Hampshire ghost story, sort of - which was ultimately commissioned and published as a Fourth Doctor (aka Tom Baker) novel. My first published novel. I was over the moon. I had arrived. What immediately followed, hot on Drift’s heels, were other Doctor Who opportunities. Having one book under my belt prompted me to sign up to a Doctor Who internet forum or two and attend a couple of conventions, just generally making myself known in so far as my inherently shy personality would allow. At the same time, I continued submitting proposals, to BBC Books, to Telos Publishing (who had their prestigious range of Doctor Who novellas) and to Big Finish (who were producing Doctor Who audio dramas). 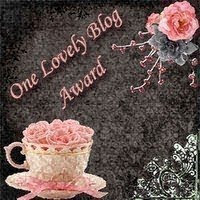 Not only did those submissions meet with success, but I was soon being asked to contribute to short story anthologies. I was, in my own small way, ‘in demand’. Long story short, my second Doctor Who novel appeared in the shops a year and a half after Drift, and was a sweeping Russian-literature time travel epic. Yes, Emotional Chemistry. Editor, Justin Richards, loved it. But I mention that not as a boast, but as a lesson to us all. At the risk of stating the obvious, one man’s “meh” is another man’s “spot on”. Ironically, it was when Doctor Who returned to our screens, reborn, in 2005, that opportunities in that particular universe dried up. The range of authors was limited to those who approved by the production team top brass and a number of us who perhaps hadn’t moved in the right circles or shaken the right hands, fell by the wayside. 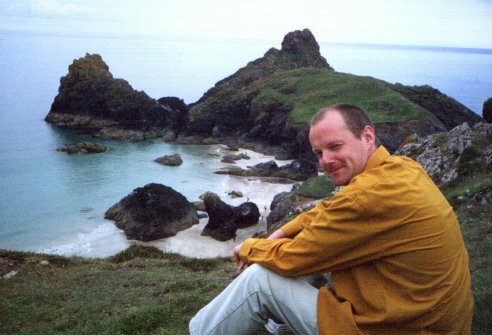 I was fortunate in that other non-Doctor Who opportunities came my way, most of them courtesy of Steve Cole (I owe that guy so many beers). Which absolutely supports that old principle of “It’s not what you know, it’s who you know”, but if you don’t happen to have been born with a silver spoon in your mouth, then there is every merit in benefitting from friendships and professional relationships forged through hard work and sociability. That goes for the publishing world as a whole, not just the licensed fiction pond. Anyway, I moved on to other projects, such as the Fright Night series and the Monster Republic series, for Hothouse – developers of packaged fiction - which were published – under different pseudonyms - by Puffin and Random House respectively. And, concurrently with those, three novelisations for the BBC’s Merlin TV series, again published by Random House. A long and winding road? You could say that. It’s an individual one and amounts to a combination of hard work and good luck that accompanies many a path to publication. The hard work anybody can do, but the luck can be tricky to emulate. It’s not all doom and gloom though. There’s generally some room for exercising your creativity. Perhaps less so with something like the Merlin novelisastions, where the challenge lies in abiding faithfully by the episode shown on screen and any background or character depth added, in seeking to bring it alive in book form, has to conform with the producers’ own concept. It’s not always easy, because you won’t always know the producers’ view on a given character or other aspect of their series, but these are the kinds of details that are ironed out in second or third draft stages, where their comments will govern the edits. Your main task, creatively speaking, lies in colouring the scenes, throwing in a sprinkling of character insights and relating the action dramatically according to the beats laid down in the script. Tie-in novels are more common and more worthwhile, both as reads and as writing projects. But licensed fiction isn’t all about tie-ins either. With the Fright Night and Monster Republic series, Hothouse set out to develop series from concept to completed MS stage. They then take that, along with their market research, and sell it as a package to a publisher. For contract purposes, they are the ‘author’ – and they get the author’s percentage – whereas you are only the person who wrote it. As with the novelisations, your job is very much to deliver an MS to spec, but because these projects are in development and not an established series there tends to be a bit more freedom in that spec. So you can see it is a route to publication, but for me it’s quite distinct from my own writing. My writing, I do for love. Licensed fiction, Doctor Who aside, is for the money and the publishing credits on my CV. Fair to say, those credits have not yet swayed the decision of any agent or publisher when considering my own work, but I don’t suppose they can have done me any harm. Other factors come into play when an editor is assessing a manuscript and sometimes, I’m sure, no quantity of credits is going to win them over. 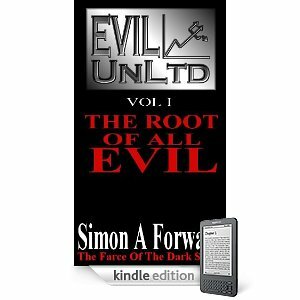 By way of example, my Sci-Fi comedy, Evil UnLtd is just one of several projects of mine that has been neglected while some of this licensed fiction output helped pay the bills. Now, it can be hard to see your own brainchild (or brainchildren, plural) left neglected while you focus on delivering someone else’s baby. It can be harder still when publishers and agents are telling you how “colourful, imaginative and well-written” your work is and yet that there is “no market” for it, while some more generic, developed-by-committee work (that you helped to ‘create’) is securing a two or three-book deal with a major publishing house. Hence, in an effort to make it up to my neglected characters and projects, I decided to give the licensed fiction world a rest for a while. It’s something of a financial risk, but it’s something I felt compelled to do for the sake of my craft. As well as resuming the traditional approach of submissions to agents and publishers, I was persuaded – by friends and my mother-in-law – to give Kindle a try. Embrace the 21st century and, in the process, bypass the publishers and agents who were acting as a barrier between my work and potential readers. I’m kind of hoping my licensed fiction credits will count for something: it’s why I’m not shy about mentioning them. But I do worry that self-publishing still retains a certain stigma in many readers’ eyes. My wife tells me not to concern myself and just get my work out there. In essence, all I’ve done is traded one minefield for another. It’s scary. But isn’t that the thing about the roads to publication? They don’t all lead to Rome, but they are all littered with mines. Congratulations! You are the winner of digital copies of all 4 Half-Orc books by David Dalglish. You will hear from David directly. Thanks for participating and hope you enjoy the books. Today’s author in my interview series is Carolyn Kephart. Welcome Carolyn! 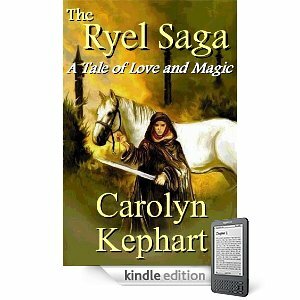 The Ryel Saga underwent several major revisions over many years, and its present form has little or nothing in common with the original version. I had enough youthful hubris to send the first version directly to Del Rey Books, back when it still had a slush pile. Not only did it get read, I received a two-page rejection letter of critique and encouragement from Lester Del Rey himself, that I cherish now. Later on I revised the manuscript in what time I had to spare from pursuing university degrees, teaching college freshmen, and writing academic papers. My life experiences--especially travel and reading--all deepened the narrative. It’s a far, far better book now than when it started, and I just wish Mr. Del Rey could have read it in its present version. 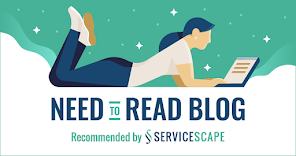 Did you query agents and traditional publishers? How long before you got your offer of representation/your first contract? I went the typical route for authors back in the days before the Internet, and Writer’s Market in hardback was my main resource. Unluckily, my book (then titled Wysard) was simply too big, weighing in at 1000 pages, and didn’t fit with the Tolkien-influenced fantasy then being published. After a few years of querying and several almost-offers, I went with a small publisher. The rights reverted to me last year, and I lost no time in becoming a Kindle indie author with my own press, Samarkand. What factors influenced your decision to go with a particular agent or publisher? Like many writers, I just wanted to hit print, and I felt perhaps a greater sense of urgency than some because I was going through significant health problems. What made me happiest with my decision was the careful treatment my manuscript received--my editor was merciless about slimming it down, and I lopped a couple of unnecessary subplots because of her excellent advice. I was very disappointed, however, that I had to cut out even more material because of page constraints, and even more because the publisher split the book into two parts and issued them as trade paperbacks rather than a mass-market single volume. One can conjecture endlessly as to what might have happened had the latter format been possible, since the reviews for the duology were uniformly glowing. Are you currently under a traditional publishing contract for future books or do you have manuscripts that you will publish directly for Kindle? I’ve published all my short fiction for Kindle, and plan to do so with future books. Being able to make The Ryel Saga available for Kindle fulfilled a long-held dream for me: the chance to join the paperback duology into a single digital book, restoring the many passages that had fallen to the cutting-room floor. Thanks to this opportunity, I’m hopeful that the story will finally get the reader attention so many of the duology’s reviewers said it deserves. The cover for The Ryel Saga was done by a professional for a paperback second edition that never went to print. When the rights reverted to me last year, I recycled the artwork, adding in my own title information. I’d love to give the name of the artist, but I lost his email long ago due to computer problems and can only recall his first name, Joseph. As with most authors, I wasn’t able to dictate or even influence what went onto the cover. I was, however, pleased with the artwork’s quality. I’d have put Ryel into Steppes gear instead of that hooded cloak, and would have made Jinn (his horse) tan rather than white, but the design has a strong archetypal feel that attracts readers not only of epic fantasy, but of myth and legend as well. Shocked. Everything good that happens to me shocks me first, and it’s not a pleasant feeling for the first second. After that, the glow wells up in my solar plexus and moves outward, and I’m in a state of rapture for awhile. There have been many sales since then, but they all feel the exact same way; it never gets old, and I’m sure it never will because I know someone new is reading me. 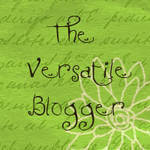 I have accounts on both Twitter and Facebook, and I regularly update my website and blog. Forums include KindleBoards, Goodreads, and Amazon discussion boards. Now that more and more reviewers are considering e-books and indie authors, I’m always discovering new places to pitch my work. So far, Smashwords, Barnes and Noble eBooks, iBooks, and Diesel. The majority of my sales come from Amazon. Lots more books and short stories! I have several novel manuscripts on the verge of completion, and dozens of yarns in my head waiting to get out. I haven’t been this excited about writing for a long time, and I owe it all to the Kindle, which gave The Ryel Saga its new lease on life. Wysard: The e-book version of the paperback first part of the Ryel Saga. 279 KB or 220 pages. Lord Brother: The e-book version of the paperback second part of the Ryel Saga. 381 KB or 275 pages. Since it was easy to create digitally, I recently made a one-volume edition of the original duology: Wysard and Lord Brother Complete In One Volume. This edition joins the original texts of the paperback versions, with nothing added or taken away. It’s much shorter than The Ryel Saga, at 654 KB or around 400 pages. Am very happy today - got 2 pieces of good news about our books! The Crystal Fascade by Debra L. Martin and David W. Small is the second book in the Rule of Otharia series. The Crystal Fascade has all of the good things that made The Quest for Nobility a good and enjoyable read for me. The authors build on the strong foundation and wealth of background from the first book. With the foundation already established, the authors focus more on the characters and story. The writing style and collaboration between the two authors has improved. Transitions from one scene were handled smoothly. This is a solid piece of work and like The Quest for Nobility, well worth the money especially if you are looking for a series where psychic powers are used. Another Veterans Day is here. There are many people who do not understand the full meaning of this day. Yes, it's another day off from work, but for those who are part of military families, the day becomes crystal clear. I have 2 brothers who have served in both the Iraq wars and a niece and nephew who have served 2 tours in Iraq. I know first hand the worry of having loved ones in a war zone and the absolute relief when they all came home unharmed. So on this Veteran Day, take a moment to thank a veteran for their service. They go where none of us would ever want to venture and they do it to keep us all safe. Thank you Veterans. You all ROCK!!!! 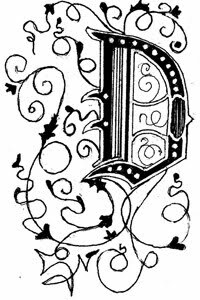 Today, I'd like to welcome Rebecca Forster to the blog. She has graciously donated her time to answer some questions. Welcome Rebecca! Deb: Could you talk a little about your traditionally published work? Rebecca: You’ll be sorry you asked! I’m one of those people who still can’t believe I have books with my name on them – even after publishing 20+ – but here goes. I actually wrote my first book on a crazy dare. I was an advertising executive and my client was married to a rather famous author who I had never heard of – Danielle Steele. In my younger days, I was a bit brash and commented to my associate that “I could do that”. Well, that associate told everyone in the agency that I was going to write a book. I figured I would save face by submitting something, getting a rejection and that would be the end of it. Who knew my first book would be published? Deb: What was the secret? Rebecca: I don’t think there is a secret for getting published. I think every author comes at it differently. For me, though, I drew upon my marketing experience. I treated the book like I would any client’s product. I asked myself targeted questions. What was the marketplace looking for? Who would buy my product? Did I have to write the whole book before I submitted? What was the path of least resistance to an editor? Once I did my research and answered those questions, I followed my plan. I submitted to Harlequin (I didn’t need an agent so that was path of least resistance), Harlequin needed a continual inventory stream (look at the number of lines/books per line they turn out each month), Harlequin was very clear what they were looking for (guidelines with word count etc.) and Harlequin accepted partials. Deb: And that was it? That sounds pretty easy. Rebecca: I thought so too until I looked back and analyzed what happened. I believe that my planning was part of the success equation but the other part was pure luck and timing. I had never read a romance so I was writing about what I thought was romantic. I was lucky enough to hit the marketplace just as editorial content was changing from softer, hometown romances to working women romances. I was in the right place at the right time. Deb: But you must have had some skill. Did you always write? Rebecca: No, that was the first thing I’d ever written. But I read so much that I think I understood the basics of characterization, pacing, etc. When I received my editorial letter – 3 pages single spaced corrections – I wondered why the editor had bought my manuscript. It was because she saw potential and was willing to give me a chance. If I had not been willing to work with her, I doubt I would have sold another. Thankfully, I was smart enough to know she was giving me an opportunity and I will be forever grateful to her. She taught me everything I know about writing. Whether it is a short romance or a 100,000 word single title, good story telling and a professional approach to the craft are essential. That’s what sells a book. Deb: And after the first romance? Rebecca: There were more romances and then women’s single title books. I thought that’s what women wrote. Then my editor at Zebra told me that he thought romance wasn’t really my genre. He said I couldn’t keep killing everyone before they fell in love. I really bless him for that. Thrillers are really what I love to write and when Harper Collins gave me a chance to do my first legal thriller I felt like I was really at home. 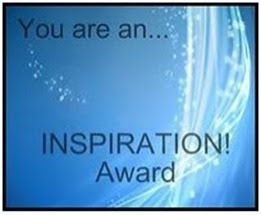 Deb: Now you are an Indie author. What's that been like? Rebecca: I am and experiencing the same things all traditionally published authors do as we make this transition. New York is changing. The opportunities to publish are tightening in the traditional markets and there are all sorts of market forces that are creating this situation. That isn’t to say that the opportunities aren’t still there but authors are also seeing they have other choices. I just published my first two Indie books. One, Before Her Eyes, is a book dear to my heart. New York editors had issues with it but I believed in it. 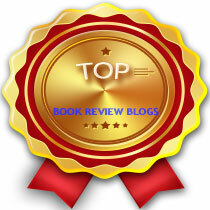 I published it for E-readers and have been gratified by the five star ratings. I won’t kid you, though; the anxiety of posting without benefit of an editor and the buffer of a publisher between me and the reader was very real. I also just published Wilde’s Gamble, a romantic intrigue. There’s a part of my author’s soul that still loves the shorter format, the romantic romp. I suppose what I’m saying is that being an Indie author allows me to work on what moves me at the moment. Traditional publishing can’t turn on a dime like that. And, let’s face it, we are seeing the growth of the E-market explode. On the downside, it will be hard to stand out; on the other hand, we are masters of our own writing fate. Deb: Do you miss having a ‘real book’? Rebecca: I’d be lying if I said I didn’t. I love the feel of a book and the excitement of walking into a bookstore and seeing my book on the shelves. I’m probably going to start querying agents again soon because I’m working on the next book in the Witness Series. That series has had a revival in the E-arena and I’m so excited by that. I adore Josie and Hannah and Archer and I’m glad their top of mind again. However, I have learned something over the last few years. Writers write and when we do what we are meant to do we find outlets for our end product. One is not better than the other and we have to accept that there are different stages to our careers. I took some time off a while back because I needed a breather. While I was ‘breathing’, I wrote a film script. That took over a year and the producer has just attached a wonderful director and a recognizable star and recently had an inquiry about funding. Now that project is out of my hands and with the producer, I found I had a renewed energy for the novel. It was a wonderful to understand and accept that sometimes our writer’s brains just need to chug down different tracks for a while. That realization was my permission to myself: write, rest, write again. It’s all good. Deb: You teach at UCLA and with the Young Writer’s Program in middle schools. Rebecca: UCLA is such a fantastic experience. I teach a weekend course during which I share with students the opportunities and challenges of publishing as I’ve experienced them. I want them to know all their options. Then we tackle their individual projects and determine what their genre is, write a pitch, refine it and write it again. It’s intense. When the weekend is over each student knows which agents and publishing houses they will target, how to pitch their project, how to rethink or restructure their storyline or plot. The course basically is my 25 years of experience as an author rolled into two days. My intention is to cut the new author’s learning curve. The Young Writer’s Conference has been around about 12 years. The extraordinary ladies who run it bring anywhere from 10 to 20 writers into middle schools and we teach workshops. Our intent is to inspire kids and give them permission to explore the limits of writing. It’s amazing when they stand up and read their stories at the end or give you a hug or tell you that now they won’t be afraid to put words on paper. How cool is that? Deb: One last question. Did you always take an editor’s advice? Rebecca: Every single time except one. An editor’s job is to make the author look good and their eye is something quite special. I’ve really been blessed to work with some amazing editors whose suggestions not only made sense, they made my books better. The one time I did not change something was because it had to do with a legal situation. I had done my homework. I knew that it was appropriate for the scene and I insisted it stay. I was glad I did. I write legal thrillers and, not being a lawyer, I feel very strongly that my work needs to ring true to any lawyer who reads it. Other than that, I really do believe an editor knows best.